There are many myths related to senior falling. Senior falling is the number one reason seniors end up in hospitals (the second biggest reason is medication mix-ups). Every 30 minutes a senior dies because of unintended senior falling. The statistics are staggering when it comes to senior falls, especially since a high percentage of them are preventable. Myth 1: Falling does not happen to me, it happen to other people. Truth: Many seniors think that is won’t happen to them, and it happens to other people. Many people feel this way about everything, seat belts, heart attacks, cancer, and other diseases. It will happen to your senior loved if you do not make a safe place and have resources in place to prevent it from happening. Myth 2: Getting older and having falls is normal part of life. Truth: Falling is not a normal part of aging. Falls can be prevented by staying fit, exercise, vision tests, and going to your doctor regularly. Seniors fall because of being frail, their body weakening, medications they take, and not being pro-active about it. Truth: By limiting your activity you actually increase you chances of falling. Being active means you are strengthening your balance and muscles that prevents falls. Walking, rang of motion exercises, or even low impact yoga can help with making sure that your body is strong and able to support itself. 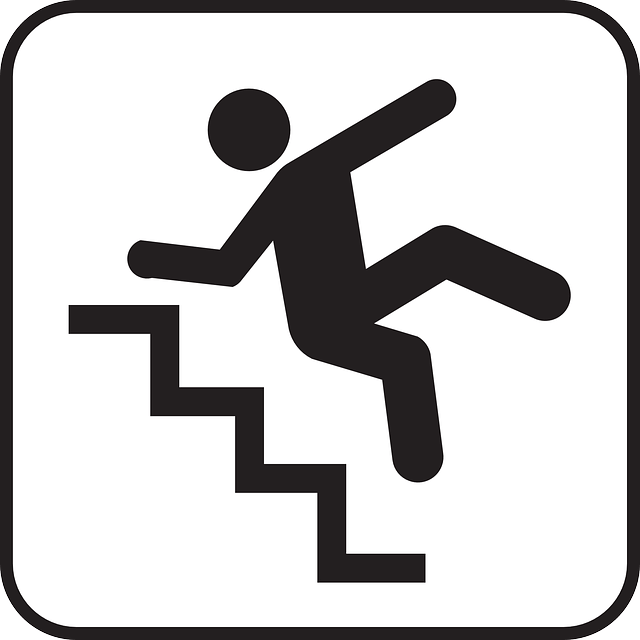 Myth 4: If I stay in my home, I won’t fall, falls happen outside my house. Truth: The most common place that falls occur is in the senior’s home. This is because of throw rugs, slick, wet tile in the kitchen and bathroom, and someone being alone and isolated while their body is weakening. The two most common places to fall are 1) The bathroom and 2) The kitchen. Assuming staying in your home and isolating oneself is not going to fix this issue. Myth 5: Gaining muscle and flexibility does not happen with seniors. Once you get old you can not get stronger. Truth: We do lose muscle as we age, but anyone can fight that by being active, stretching, and doing exercises. Doing basic exercises will help increase your ability to keep muscle, stay strong and prevent falling. Truth: Medications, or more importantly, taking multiple medications can lead do falls. Not all medication will make someone woozy, but certain ones will. Having regular doctors appointments, or nurses coming out the the house is important when preventing medications mix ups. Truth: Vision is a major reason falls occur in seniors. They do not see wires, throw rungs, light switches, or stairs and can easily trip over them. Not to mentioned if they are driving you want them to be able to see so they do not hurt themselves or someone else while out on the road. Truth: Canes and walkers are important to stability, but they are no guarantee of preventing falls. Use them correctly and get the right type of walking aide to help prevent falls. Myth 9: I don’t need to burden my doctor or family members with my fear of falling. Truth: Without talking about the issues, then they are more likely to occur. It is a team effort when preventing falls with senior. Doctors, family members, and home care providers are all needed in making sure this does not happen. Family is there to help themselves or find resources that can help. Myth 10: Refusing to talk about the problem of falls is only best because it will hurt my parents feelings, or bring up an awkward conversation. Truth: Ignoring the problem is just going to lead to bigger problems in the future. Part of the reasons for loving someone and caring for them is to be honest and direct about the problems occurring and doing what is best for them even if they do not appreciate it at the time. Part of being a family is having tough conversations and addressing topics that are sensitive and difficult. Home care can be extremely important when senior falling is a problem. Having someone available can be extraordinarily important at night and during the day when falls can occur. Home care can offer both night time help, for when senior are trying to walk to the bathroom during the night, but home care can help during day time activities too. Most of the time people start looking at home care after the first fall, but the first fall can often be fatal. Seniors falling can lead to broken hips which some elderly never recover from. The other major issue is a senior being isolated and having no way of getting up from a fall. The longer a senior is on the ground because of a fall, the more likely they will never get out of the hospital after treatment. Home care can provide the necessary caregiver to provide the supervision, care, and help around the home that is necessary to keep a senior safe, clean, and fall free. Making decisions with your family, doctor, and/or home care company is the only way to deal with the danger of unintended falls. Senior falling is the main reason why seniors end up in hospitals, and a senior fall can not only cause serious injuries, but in some cases is fatal. Senior falling is preventable but needs to be addressed head on. Depending on your needs, using home care can be an important tool in preventing falls, but if home care is not required, there is durable medical equipment that can help prevent senior falling.